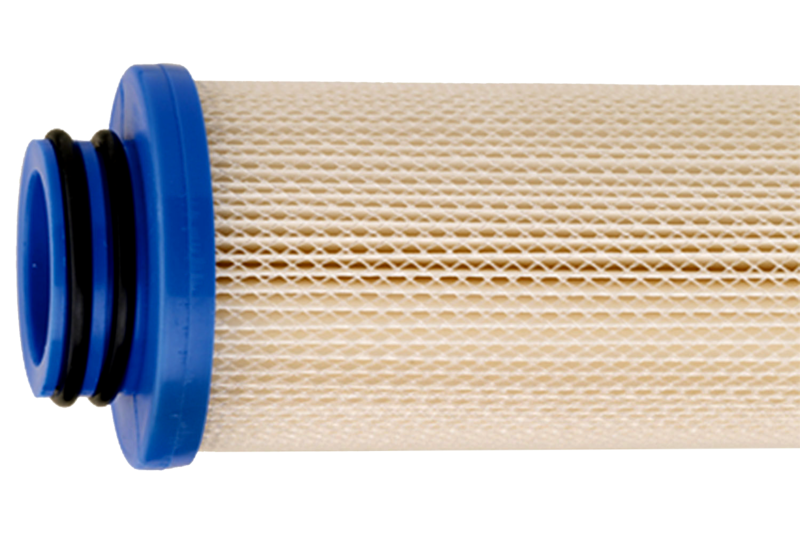 Biflex Series Pleated Cellulose Polyester Cartridges are the benchmark for critical industrial applications that demand optimal fluid filtration. Available in a broad range of micron ratings to match specific applications. Biflex Series BF-200AB and BFN-200 Cartridges are absolute- and nominal-rated cartridges that are manufactured using proprietary cellulose and polyester fibers held together by an acrylic binder. The media provides a gradient density matrix of microfibers with a tapered pore structure that allows for true depth loading of contaminants throughout, and a Beta 5000 rated efficiency of 99.98%. Biflex Mega Series BF-600AB is a large diameter, cartridge with inside-to-outside flow pattern. These 6- and 6.5-inch diameter cartridges are manufactured using proprietary cellulose and polyester fibers held together by an acrylic binder. The media provides a gradient density matrix of microfibers with a tapered pore structure that allows for true depth loading of contaminants. 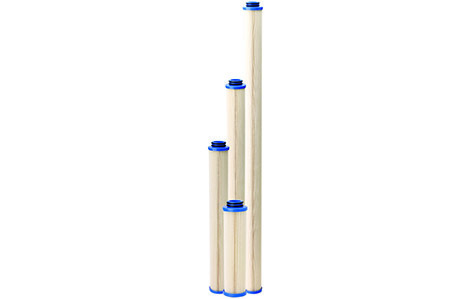 Absolute and Nominal Biflex Series Pleated Cellulose Polyester Cartridges are the benchmark for critical industrial applications that demand optimal fluid filtration. Biflex cartridges helps maximize profitability by reducing process downtime, equipment repair or replacement, labor, and disposal costs. Biflex Mega Series BF-600AB is a unique line of larger-diameter (6- and 6.5-inch) absolute- rated cartridges that are designed to maximize flow-rates, service life and efficiency. These optimal size cartridges allow you to use significantly smaller housings and fewer elements. Biflex Series Cartridges are manufactured using proprietary cellulose and polyester fibers held together by an acrylic binder. This media provides a gradient density matrix of microfibers with a tapered pore structure that allows for true depth loading of contaminants throughout, and a Beta 5000 rated efficiency of 99.98%.